RANDA Solutions announces “The Core of Education” podcast series. Host Dr. Rod Berger interviews innovators in education, education technology, improving teacher effectiveness, education policy and practice. I'm excited to wrestle with these issues and concepts in a medium that is free to educators. A new podcast announced today provides education leaders a forum for sharing concepts and best-practices to improve teacher effectiveness and education outcomes. “The Core of Education” series, hosted by Dr. Rod Berger, promises to aggregate experiences, breakthrough theories, and new best-practices from around the globe. The inaugural podcast explores “Big Data: Big Opportunities and Challenges” with RANDA Solutions’ Chief Strategy Officer, Randall Dennis. The “Big Data” episode offers a bird’s-eye view of numerous education data, as Berger and Dennis conduct an informal discussion about high-stakes decision making. 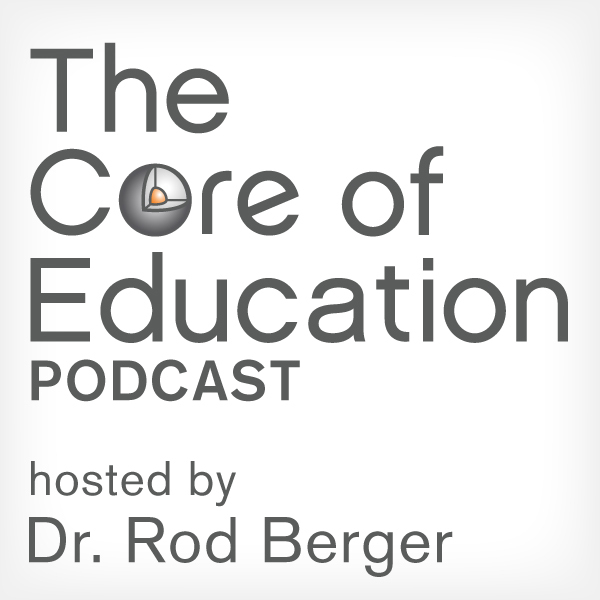 Listeners can subscribe to “The Core of Education” via iTunes or through RANDA’s website in the “Insights” section. For those who don't subscribe to podcasts, an YouTube version is also available. Richard Culatta - Deputy Director, Office of Education Technology, U.S. Department of Education | Washington, DC and Lord Jim Knight - Director, Step-A International | London, United Kingdom - Dr. Berger moderates a lively cross-Atlantic discussion with Mr. Calutta and Lord Knight on best-practices and new views on ed tech. Dr. Ronald Roukema - Headmaster, Marymount International School | Paris, France – Dr. Berger explores how technology has been utilized among Dr. Roukema’s various international posts, and what the U.S. can learn from educational systems outside its borders. David Weston - Chief Executive, Teacher Development Trust, researcher and author | London, United Kingdom - David has led the development of tracking and monitoring programmes, delivering training in use and analysis of data to a wide range of staff at all levels. Rod and David discuss the potential in leading edge CPD technology – both currently available and what’s to come. Dr. William Huitt - Professor Emeritus, Valdosta State University | Nürnberg, Germany – Rod discusses Bill’s research and education's continuing struggle with decades-old problems in student engagement strategies. Cindi Rigsbee - Author, educator and regional education facilitator for the North Carolina Department of Public Instruction | Berger and Rigsbee discuss cheating, teachers' responsibilities, and teacher evaluations. Ian Fordham - Co-founder, The Education Foundation | London, United Kingdom - Formerly Deputy Director of the British Council for School Environments, Ian is transfixed on the implications of design thinking for education in the UK- theory, process, methods, and environments. 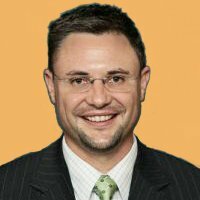 Dr. Berger is Vice-President of Education at RANDA Solutions, where he provides direction in training educators and administrators to use RANDA's technology tools. As a published author and national speaker, Berger unites education and technology to bring together global education leaders. His blog, also titled “The Core of Education”, deals with similar issues as insightful editorials. Berger’s “Big Data” podcast episode coincides with the announcement of RANDA’s “Big Data Project for K-12 Education” last week. The announcement calls on progressive K-12 school districts for competitive responses to collaborate with RANDA to apply design thinking to education’s challenging data problems. Interested K-12 districts and vendors should contact Leslie Kendall at RANDA Solutions. RANDA Solutions is an INC. 500 software firm based in Nashville, TN serving the education sector. RANDA acquires, manages and utilizes data providing administrators and teachers a variety of education intelligence: Student Data (student identification, student demographics, summative and formative assessments, student growth, course completion, and college readiness), Educator Data (educator identification, educator demographics, professional development/continuing education, teacher student data link, value added assessment alignment, and teacher effectiveness), and Third-party Data (community demographics, school climate, early warning data, etc.). Historical and live data reporting, along with additional customized content, is delivered via RANDA's secure web portals and integrates seamlessly with RANDA's cross-platform mobile applications for iPads and Android devices.